2. 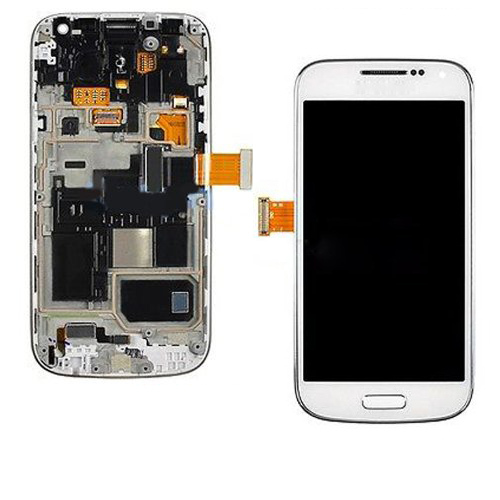 This Assembly LCD Touch Digitizer Screen and Frame perfectly compatible with Samsung Galaxy S4 Mini i9190 / i9195 / i9195T. 3. For resolving your unusable, broken or cracked Samsung Galaxy S4 Mini front LCD touch glass screen. Packing Include: 1 x White LCD Touch Digitizer Display Screen Assembly with Frame for Samsung Mini Version i9190 / i9195, i9195T.